For many years, parents have believed that multiple vaccinations have caused their children to become autistic. Governments from around the world, however, have categorically denied this possibility.They continue to bury their heads in the sand and ignore what is happening. They refuse to carry out relevant studies and will not answer any questions that may uncover the truth about vaccines. Their actions are clearly demonstrated in a video titled AutismOne & Generation Rescue 2013 Conference Congressional Panel, featuring Congressman Burton (R-IN), Congressman Weldon, MD (R-FL) and Congressman Bill Posey (R-FL), published on May 11, 2013. The video begins in the year 2000. Representative Dan Burton, chairman of the 2000 House Government Reform Committee on Autism and Childhood Vaccines, opened the conference by stating that autism, once considered a rare disorder, has become a near epidemic. He said that it is a top priority to carry out as much research into the potential connection between vaccines and autism as possible. He finished his introduction to Congress by stating that we must stop burying our heads in the sand and ignoring this possibility. We have been checking all the financial records of the FDA, the HHS, the CDC, do you believe that anybody who is getting funds from Merck or any of the other pharmaceutical companies should be on advisory panels that are making judgments about pharmaceuticals coming from those companies, or do you believe that is a conflict of interest? I think that is a difficult question to answer. You talk about collaboration, I guess with the Merck pharmaceutical company? Yes, I, um, as I, um, disclosed in my written report, I have been in collaboration with Merck and Company on the development of the Rotavirus vaccine since 1992. They produce the MMR, don’t they? Looking back towards Dr. Boyle, Burton asked her why the CDC did not include the possibility that some of these vaccines may have caused the autism increase as one of the potential causes they were investigating, asking her to check out this matter. Despite replying that she would, it appears that once again this relatively simple task was too difficult for Dr. Boyle, because thirteen years later, we are still awaiting her answer. Dr. Boyle, for your information, at a public meeting in Brick Township in January in 1997, and you should know this, with the CDC and others present, several of the audience members asked about the vaccines and the possible autism link and they asked for that to be checked. And I submit that maybe, just maybe, it’s because the pharmaceutical company that manufactures it had some influence on the people in that meeting and they said, ‘Hey, we don’t want to get into that,’ and if that’s the case, that is damn near criminal. Concluding the 2000 clip, I feel that Dr. Bernard Rimland made the most honest response of the day, when he answered Dan Burton’s question as to whether, after listening to the comments made at the meeting and carrying out his own scientific research, there was any possibility that vaccines were contributing to the increase in autism. There is not only the possibility, there is an extremely high likelihood, from all the evidence available. Those are strong words, so why has he been ignored? Moving on to 2002, it appeared as if nothing much had changed. Once again, Congressman Dan Burton can be seen chairing the panel meeting, opening with an extremely poignant and moving piece of film of a child suffering with severe autism to demonstrate what parents cope with on a daily basis. So, we can’t let the pharmaceutical industries and our government cover this mess up today because it ain’t gonna go away and it’s going to cost the taxpayers trillions more if we wait around on it and for our FDA, the HHS and the health agencies to continue to hide behind this facade that there have been studies that conclusively prove otherwise, is just wrong, too! In fact, the whole video from beginning to end clearly shows evidence that this heated debate has carried on for more than a decade. Each year the same issues and the same problems appear to be discussed, and yet the panel comes to the same conclusion that studies are not being carried out to investigate the link between vaccines and autism. So, why is this happening and why is nothing being done? In 2012, we see Congressman Bill Posey has taken over the task of trying to question the elusive and now somewhat greying Dr. Boyle from the CDC, about vaccinations and autism. Dr. Boyle, my predecessor Congressman Welder was a well-respected, competent medical doctor and I glean from him with some certainty he felt thimerosal in vaccinations definitely was a contributory factor to autism and I wonder if the CDC has conducted or facilitated a study comparing vaccinated children with unvaccinated children yet? Have you done that? We have done a number of studies looking at the relationship between thimerosal vaccines and autism and other developmental disabilities. So, clearly, definitely, unequivocally, you have studied vaccinated versus unvaccinated? We have not studied vaccinated versus unvaccinated. Never mind, that was the meaning of my question, you have wasted two minutes of my time. What steps has the CDC undertaken to ensure the integrity of the research that was performed by Dr. Thorsen, who, as you know, has been indicted for misconduct in the misallocation of resources? Once again Boyle can be seen avoiding his question. Instead of answering Congressman Posey directly, she tried to palm him off with incorrect data, stating that Dr. Thorsen was a co-investigator in just two of the studies carried out. This was immediately refuted by Posey, who asked if he would be allowed to submit, for the record, information proving that Dr. Thorsen was in fact involved in 21 of the 24 studies undertaken. Have you gone back to validate the variety of studies he participated in? I mean, you know this guy is a humongous scumbag, one of the most wanted men on earth, and you relied on him for data to determine whether thimerosal had a negative effect? It is obvious from listening to the video that not one person whom Congressman Burton or the panel questioned had any conclusive evidence that vaccines did not cause autism. Instead, leading figures gave false information and avoided all of the questions being asked of them. Many had conflicts of interest with the pharmaceutical industry manufacturing the vaccines and saw no problem with this. 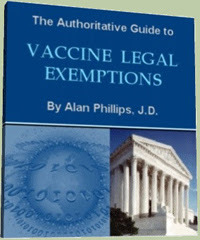 Members of the CDC, the FDA and other organizations sanctioning vaccinations are supposed to be independent. If, like Paul Offit, they hold patents to vaccines or are in collaboration with the companies manufacturing the vaccines, they are not independent and therefore not impartial. Surely, parents trusting those officials with their children’s lives deserve better than this. It is time for change. For parents to have faith in the vaccine programs, they need to see concrete evidence proving that the vaccines are safe. Instead of bringing out more and more vaccines and trying to mandate vaccinations, governments and their representatives need to answer the questions being asked of them. This video is conclusive evidence that this is not happening. 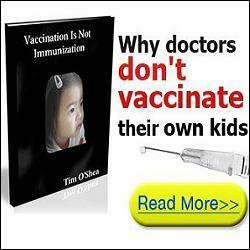 Be the first to comment on "Vaccination Causes Autism – Here’s What They Know…"